I’ve been recording the food that I eat for over a month now in a google doc so you can see my progress. 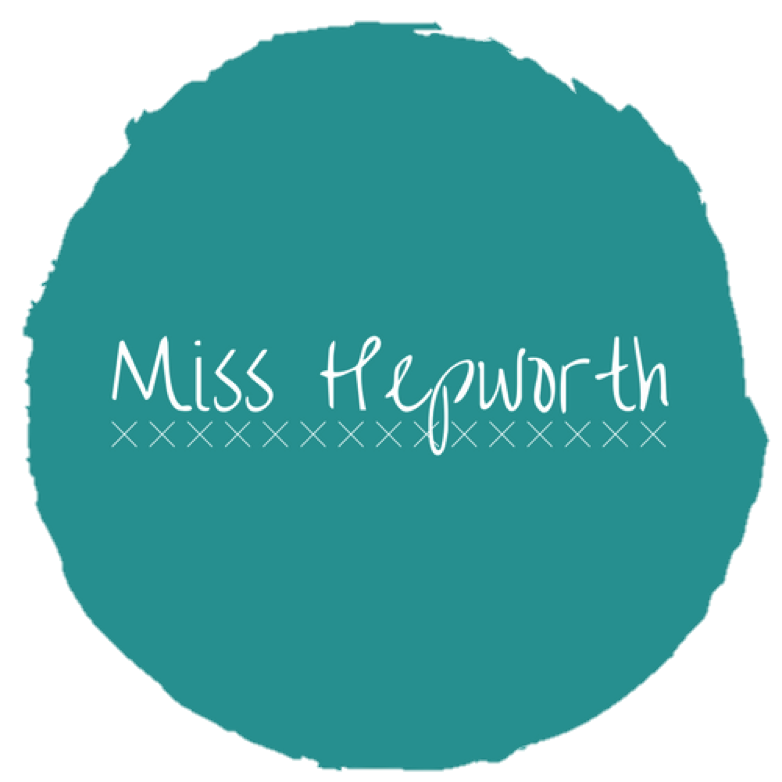 It’s much easier to evaluate from the google doc because I’ve colour coded it (which makes the big long list far less intimidating for readers. Here are some highlights (and lowlights) from the last month as I critique my food consumption. At the end of today’s entry (October 21st, 2015) I’ve tallied a running total. By my calculation, I am eating what I consider to be healthy foods about 60-65% of the time. This is a large improvement from my dad asking me to eat at home more because he was worried I was eating out too much. I’ve noticed that my two biggest struggles are late night cravings and portion control. I get off work usually at about 9:15 at night and because of this my eating time is shifted back. I usually don’t eat until at least 11 am but more often than not, I don’t eat until 1:30 or 2 pm. If I eat after that, I may try to eat something before work but usually I don’t eat until after 9:30. It’s become a habit for me to grab something to eat on the way home even when I’m not hungry. My late night cravings also usually lead me to fast food and not healthy fast food at that. I will strive to be more cognisant of this. My second struggle is portion control. I find that once I start eating something I like, I will boredom eat it. By this, I mean that I will do it because it tastes good and not for the nutritional value. I also will sit down with junk food and work away or drive and eat while doing a task and therefore overeat. My grandpa always says, “everything in moderation” and I need to adhere to this lifestyle. While on Pinterest, I came across the idea of the 80:20 eating model. I have linked an article explaining the 80:20 model but essentially it boils down to eating healthy 80% of the time and indulging 20% of the time. This model helps you to not feel restricted by your diet. I am closer to the 65:35 but I still think I can get to about 80:20. I think that I am doing well for starting with eating fast food every day out of convenience. I was all worried that I wouldn’t have any foods to take pictures of this week because it’s still been pretty busy but by making healthy choices, I found that I just had to take pictures of the food that I made. Nothing fancy but definitely healthy. 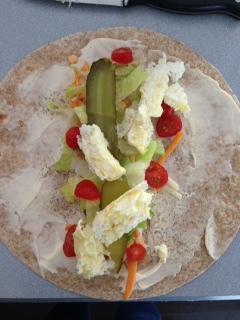 The egg wrap that I made… unusual but a fast and meatless lunch (but still with lots of protein because I intend to gain some muscle and have been working out so as to lower my BMI. Side note – It hit me how important this project is when I saw this week that some medications don’t work on people with BMI’s as high as mine and even up to 10% lower depending on the medication and when you take it. That was a huge wake-up call for how out of hand my health has gotten). My “snacky” lunch as we used to call it when I was a kid. A bunch of disjointed snacks put together to create one whole meal. 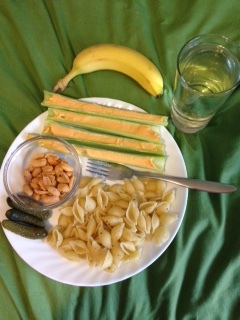 Here I have a banana, celery sticks with Cheese Wiz, noodles in butter, salt and pepper, spicy peanuts (not too many as they are very high in fat but also high in protein), pickles (which I’m pretty sure are a miracle food) and a glass of water. I whipped up some noodles in a sauce for lunch one day. 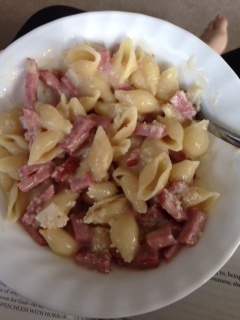 Results were interesting as I used cream of mushroom soup, salami, parmesan cheese, onion and Italian salad dressing…. was still not bad.